Experienced captain Fiao’o Faamausili will lead an exciting young squad featuring eight new caps when the Black Ferns play Australia for the Laurie O’Reilly Memorial Trophy next month. Faamausili is the most-capped Black Fern (52) and is a five-time Women’s Rugby World Cup veteran. Selica Winiata (31) and Kendra Cocksedge (42) have been named as co-vice captains. Black Ferns Head Coach Glenn Moore has ushered in four new backs and four new forwards to a 28-strong squad to play in matches that will anchor two huge double headers with the All Blacks’ Bledisloe Cup matches against Australia in Sydney and Auckland. The Black Ferns will get their first opportunity for a hit-out in a warm up Game of Three Halves against Bay of Plenty Volcanix and Auckland Storm in Tauranga next month. The new caps are Krysten Cottrell (Hawke’s Bay), Ruahei Demant (Auckland), Alena Saili (Southland), and Monica Tagoai (Wellington) in the backs, and Joanah Ngan-Woo, Marcelle Parkes (both Wellington), Leilani Perese (Counties Manukau) and Cristo Tofa (North Harbour) in the forwards. * Not considered due to injury: Toka Natua (Waikato), Victoria Subritzky-Nafatali (Counties Manukau). Moore said the depth of his squad meant the selectors would have some tough decisions to make ahead of the Test season. Marcelle Parkes’ selection completes a meteoric rise for the 20-year-old. Parkes had already represented New Zealand in softball and netball before her impressive Sevens debut for Wellington led to her securing a Black Ferns contract earlier this year. “Marcelle is an exceptional athlete and deserves her spot. We’re looking forward to seeing what she can achieve in a Black Ferns jersey. She is definitely one to watch,” Moore said. Ruahei joins her younger sister Kiritapu in the squad after overcoming a series of serious knee injuries. Kiritapu debuted for the Black Ferns in 2015. The Demant siblings join the Itunu sisters (Aldora and Linda) in the line-up, and will be the fourth set of sisters to represent the Black Ferns. Moore and his selectors named two 2018 Sevens Rugby World Cup players, in Stacey Waaka and Theresa Fitzpatrick, as well as Alena Saili, who is also currently contracted in the Black Ferns Sevens wider squad. Saili secured a sevens contract in her first year out of school and Moore said he was looking forward to seeing what impact she would have in the 15s. Moore said all three made themselves available for selection with the support of their Sevens coaches. “We’re really pleased to have them as part of our mix, Theresa and Stacey were invaluable in 2017 and we’re looking forward to Alena bringing her talent to our squad. 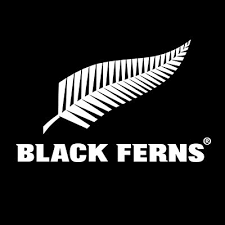 “Black Ferns Sevens Head Coach Allan Bunting and I are in constant contact about the selection and availability of players and the athletes’ welfare is always paramount. It’s been a massive season for the Black Ferns Sevens, and they are already steadfastly focussed on the Tokyo Olympics. “Portia [Woodman], Sarah [Goss] and Kelly [Brazier] have decided to concentrate on their World Cup recovery and preparation for Tokyo for the time being and we all support what is best for them,” he said.